It looks like this will be my last post for this year. I don't know about you, but I have the feeling this year just flew by. We'll be quite busy the coming two weeks, so I decided I'm up for a little blog break. 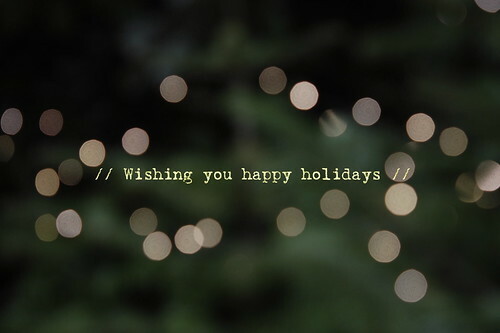 But not without wishing you all happy and safe holidays! And I do hope to meet you again here at // Between the lines // somewhere early January, 2010!